Moorcroft pottery has enriched homes with colour and craftsmanship for more than one hundred years. With a history built on superb artistry, Moorcroft is as strong and lively today as it has ever been. The Moorcroft Club was founded in 1987 and over the years has developed its own tidal wave of enthusiasm, not only in the United Kingdom but also reaching out to Australia, New Zealand, South Africa, America and Canada. The Club has grown into a wonderful community of knowledgeable and enthusiastic members who are offered a wide variety of exclusive benefits. 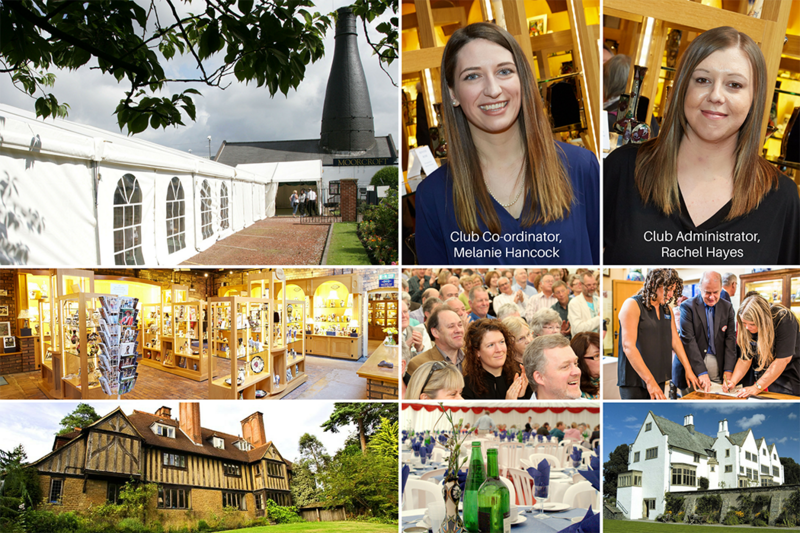 Whether you become a member to learn more about Moorcroft or whether it is a desire to take part in our annual events or simply because you wish to further your appreciation of the beauty of handmade art pottery, we have no doubt that you will thoroughly enjoy your membership. Quarterly Moorcroft Club Journals with the latest news, historical articles, interviews and articles of interest, as well as details about new collections, Moorcroft tours worldwide and exhibitions. 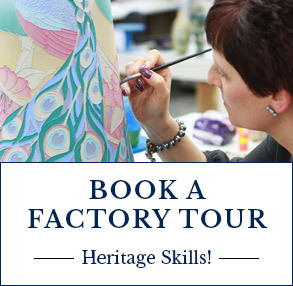 Invitations to events and exhibitions held at the original 1913 factory in Stoke-on-Trent and many specially-selected locations, including Moorcroft retailers, country houses, museums and gardens. Access to special discount codes for the Moorcroft website and Moorcroft Heritage Visitor Centre and advance notice of sales, competitions, plus other offers and vouchers. Free of charge factory tours (must be booked in advance). A Club card which provides 10% off selected Moorcroft pottery sold by W Moorcroft Ltd. Exclusive Club designs and loyalty reward schemes. 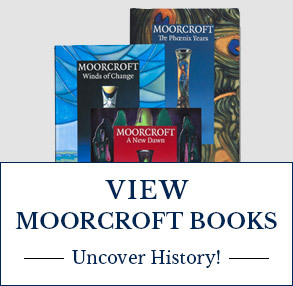 All Moorcroft catalogues flyers, advanced notices of new launches, exhibitions, events and sales delivered to your doorstep. 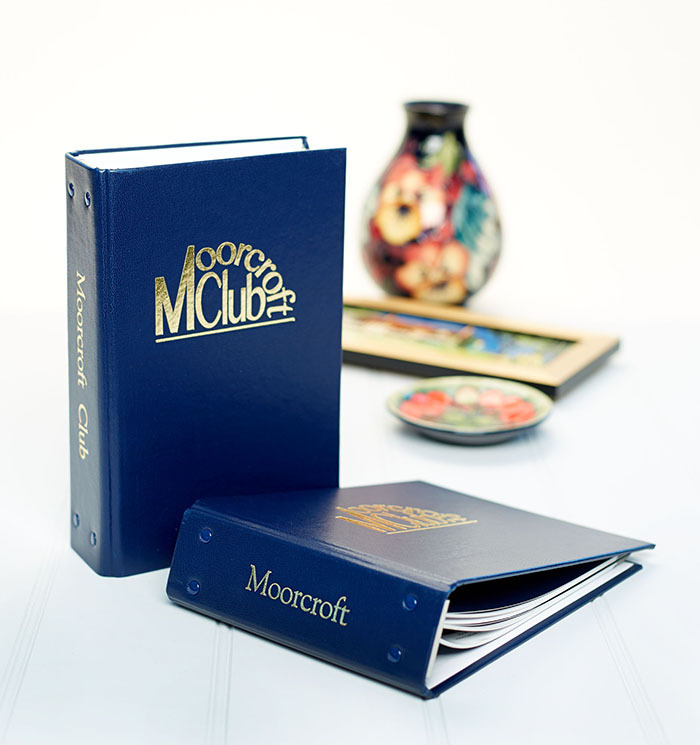 General information about Moorcroft products and associated products, (for example, Moorcroft folders, jewellery and horticultural products), that may be of interest to Moorcroft Club Members. 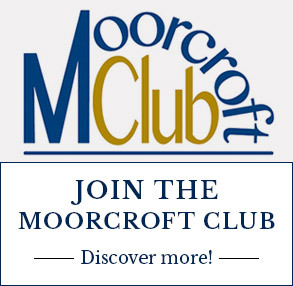 If you are already a member of the Moorcroft Club, please click the ‘Register’ button, which can be found within the blue banner at the top of this page. From here you will be asked to enter a few simple details, including your membership number, so please have this to hand. Once registered you will instantly receive your 10% Members Discount on purchases on this website, but it may take up to 48 hours for Club exclusive designs to become available to you. You can join the Club by phone or email, or on line by selecting the relevant Membership category below, or by returning a completed application form, supplied by a member of staff. * E-Membership still entitles you to a 10% discount Club card and invitations to certain events in the post, but printed catalogues, flyers and new launch brochures will only be available online via the website and not delivered to your doorstep. The quarterly journals will be sent to you via email. We feel this approach helps us to be mindful of environmental concerns about printed matter. Digital copies of our catalogues and flyers can be found here. Keep your catalogues and journals in pristine condition with our especially designed binders. Click here to purchase.